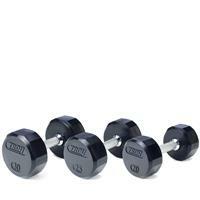 1 pair of each - 5 lb., 10 lb., 15 lb., 20 lb,. 25 lb. 30 lb., 35 lb., 40 lb., 45 lb., 50 lb., 55 lb., 60 lb., 65 lb., 70 lb., 75 lb. dumbbells. 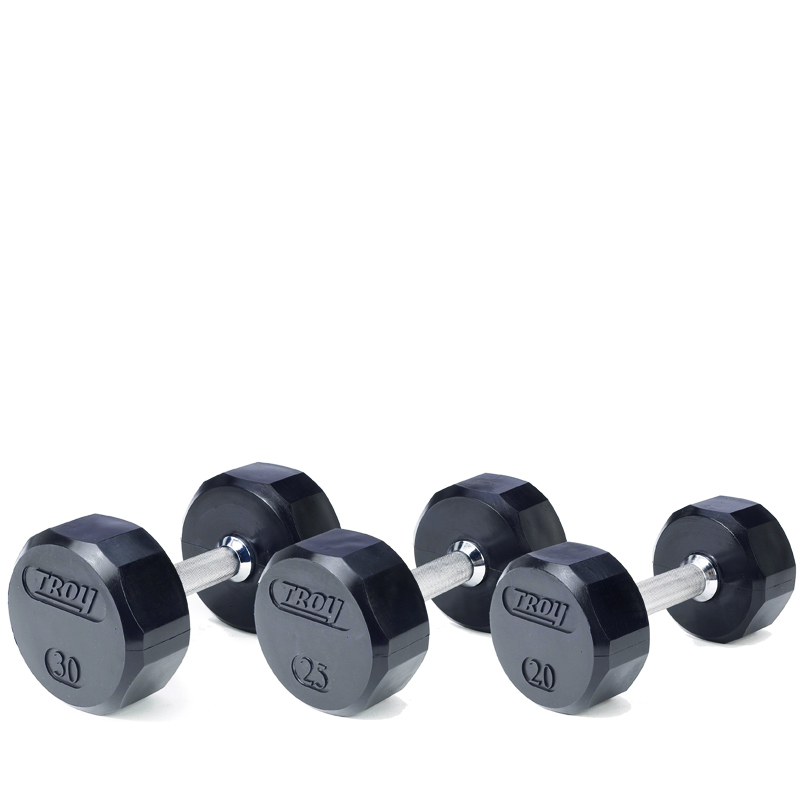 These dumbbells are Troy’s best, premium grade rubber dumbbell. They are encased with high quality virgin rubber which helps to reduce noise, protect floors and equipment, while making them virtually odor free. 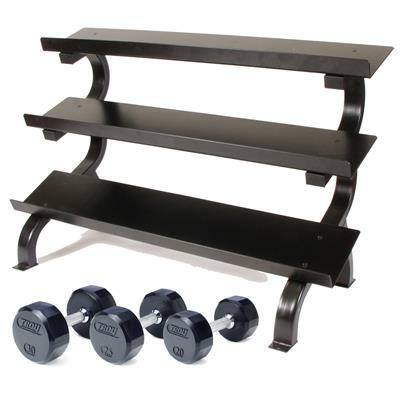 Precision machined, graduated steel handles are coated with a hard chrome finish to resist corrosion. 12 sided, anti-roll heads are permanently affixed for safe, reliable handling. Perfect for any workout setting-from the best health club to the home. Handle Grip Size, 30mm 3 lb. - 50 lb., 32mm 55 lb. - 70 lb., 34mm 75 lb. - 125 lb. Handle length 5.5 Inches - Inside Head to Inside Head. Available from 5 lbs to 125 lbs in 5 lbs increments. Available in 3 lb., 8 lb., and 12 lb. For Commercial, Military, College, and Home Environments.